This update offers practical advice on how best to use the new psychic energies that are available to us since the eclipse. By "psychic" I mean the overall process of bringing intuitive stirrings and impulses into full conscious thought form. I've noticed in my private practice a dramatic shift in the awareness of what it means to be part of an authentic relationship. If we think of authenticity as a quality, it is a quality of the true Self. More precisely, there is a spiritual acceleration now which allows us to access our core values and emotional stability in new ways. In order to be authentic, our relationships must feel emotionally stable. Relationships that don't honor authenticity will feel out of integrity or out of balance in a way that can't continue. In this case, the big question is: "How do I work with a relationship that doesn't feel authentic or is only authentic in one direction?" The answer is to stay present and be present to the process. This is not the time to end a relationship that doesn't have authenticity moving in both directions, unless of course you are absolutely certain. It is a time to allow your personal vision of authenticity to grow and develop. This vision of what is authentic is coming into form for all of us and will be completed at the next full MOON. Then we will have the opportunity to carry a more complete understanding into our relationships. Working with the MOON cycles is a steady, rhythmic process. Astrologically, we are currently moving from a new MOON on Jan 4, 2011 at 14° CAPRICORN, toward our next full MOON at 30° CANCER on Jan 19, 2011. This period leading to the coming full MOON is a two week building phase in which each of us can develop a vision of what an authentic spiritual relationship should look or feel like. What is actually developing through this process is a deeper vision of our own authentic Self. Holding this image of the authentic Self is the best way to take advantage of these new energies that were opened with the eclipse. At the next full MOON we will carry this very personal vision forward into the future and it will serve as a model for a new level of spiritual relationships. Remember that psychic abilities refer to intuitive processes that are brought to consciousness. Symbolically, the MOON is responsible for building these psychic structures. Some of these psychic structures evolve into habits, others become patterns creating stability for our ego. Intuitive awareness uses these basic psychic structures that all of us posses. Everyone has the ability to be psychic and access intuition. The difference in psychic abilities lies in our capacity to integrate our intuition with our personal consciousness. We all possess the ability to access the symbols, visions, and intuitive understanding of what it means to be in authentic relationship with self and others. We have additional time to integrate new ways of authenticity. The solstice eclipse portal will remain open until Mar 4, 2011. We have an opportunity to work with the current new MOON and full MOON cycles to integrate our new psychic abilities. Working with our growing authentic visions of our spiritual values will help us know exactly what to do with relationships that don't feel emotionally authentic. This vision is necessary in the stabilization of these new energies and new awareness. My next update will discuss what to do with our authentic vision of being in a spiritual relationship. In the meantime, let the psychic structuring of the MOON build what you need in order to adapt in this accelerated time period. It's a time for building and appreciation. Getting in touch with the inspiration behind what has awakened for you will be most useful. *Footnote: By my calculations, the eclipse portal will be open for 75 days, rather than 45 as previously stated in my solstice article. 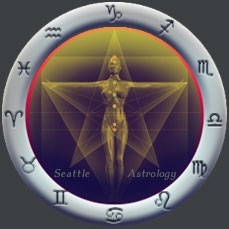 The esoteric symbolism of the next new MOON on Feb 2, 2011, suggests a secondary portal that will open and create an evolutionary jump, supporting the eclipse energies. As a result, the original portal is supported in a dramatic way and will stay open for an additional 30 days. Specifically, for the astrological student, the following new moon occurs at 14° AQUARIUS with a conjunction of the SUN, MOON and MARS as they move over the cross-quarter day (and the Chinese new year). The secondary new moon portal is supported by a major release vector at 15° AQUARIUS. For those who are interested in the esoteric symbolism and meaning of the full MOON on Jan 19, 2011, the Sabian symbol describes a daughter who is a descendant of the American revolution. She has never forgotten her roots, heritage, sacrifice, and the struggle to become free. The daughter is now integrated in a new, healthy culture which honors the authentic spirit that was fought for and is hers by birthright.